One of the best things about the growth of In The Crosshairs is that we now get folks reaching out to us to share their own DIY productions. This is pretty amazing because it was not too long ago that I was doing the exact same thing, sending my videos to different sites that I liked, hoping to get them published. Andreas Mikkel Hansen lives in Copenhagen, Denmark, and is a big cyclocross fan. He’s also a professional photographer who is skilled shooting video, too. 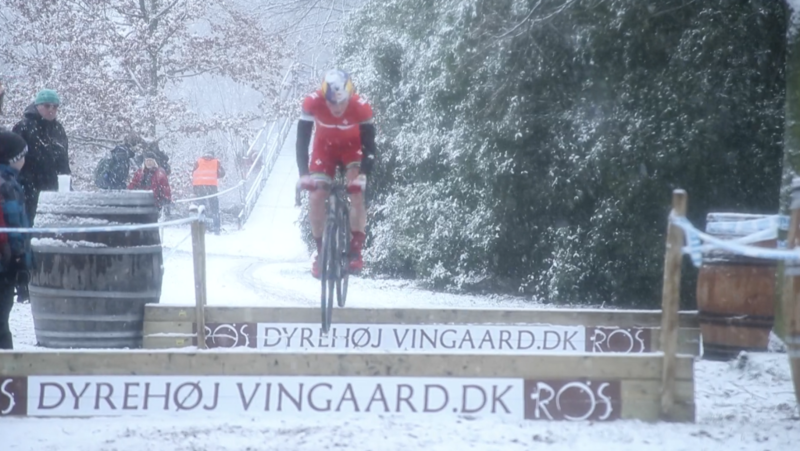 Andreas spent this past weekend at the Danish Cyclocross Nationals. 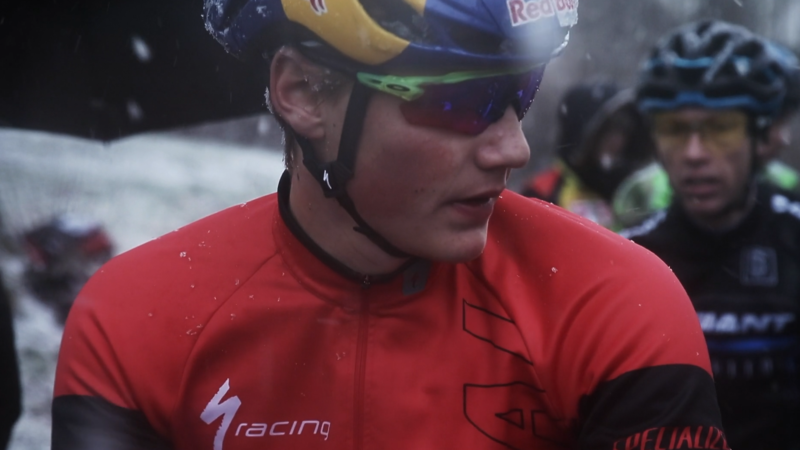 His focus was on the the current junior world champion Simon Andreassen, who is best known for his MTB prowess. At last year’s worlds, Andreassen rode away from heavy favorite Eli Iserbyt to win the rainbow jersey. For the Danish National Championship, Andreassen opted to enter the elite pro men’s race. Andreas follows him from start to finish and we get to see the race highlights in all of their snowy glory. You can check out Andreas’ work at andreasmikkel.dk. Also, check out his other videos at vimeo.com/user6822271. And here’s the video. If you have a submission you’d like to share, get in touch through the contact link at the top right of the page. Thanks for watching. that is five-f’n-stars…..some of the worst conditions. ridiculously cold, im sure. snowing too. and he shows up with bare legs and a skin suit. thats a tough bike rider (voice of phil liggett)….. I love that the Danish National Champion has a $20 Casio wristwatch and changes in the trunk of his car. Can we also get a shoutout to those folks using old bike rims as ‘cowbells’?